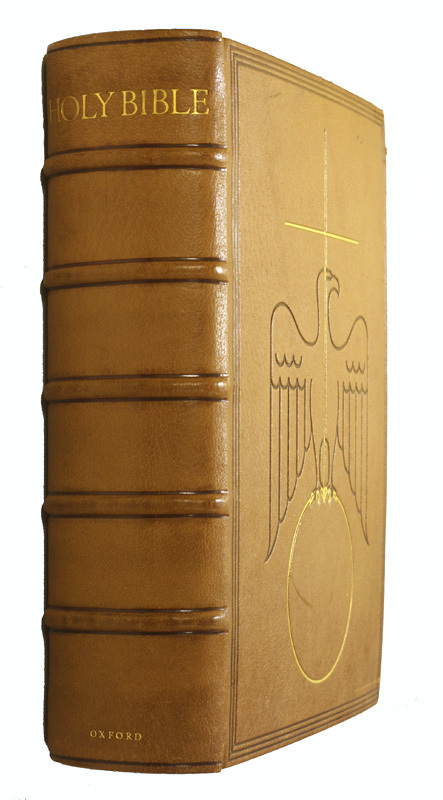 The Holy Bible : containing the Old and New Testaments : translated out of the original tongues and with the former translations diligently compared and revised by His Majesty’s special command. Oxford : Printed at the University Press, 1935. This exceptionally large and heavy bible is intended for use on a church lectern, and is considered to be the masterpiece of Bruce Rogers. The type page is 9 by 13 inches, printed on a leaf 13 by 18 1/4 inches. 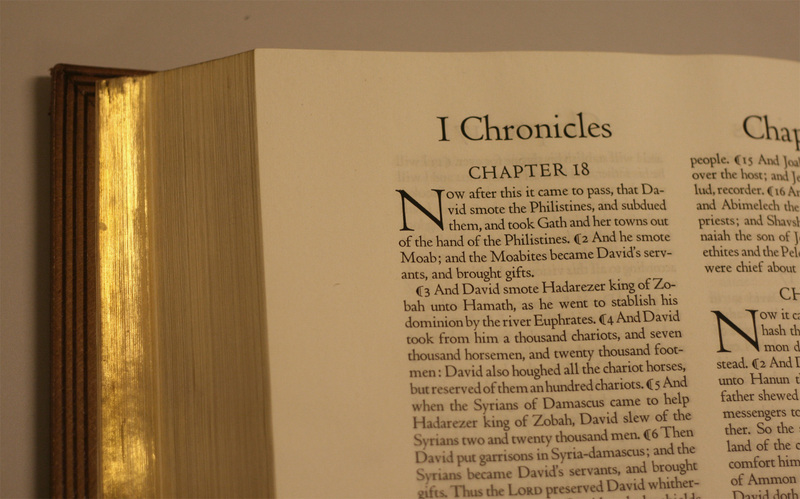 It is accompanied by related publications: An account of the making of the Oxford Lectern Bible and A prospectus giving particulars and specimen pages of the new Oxford Lectern Bible.